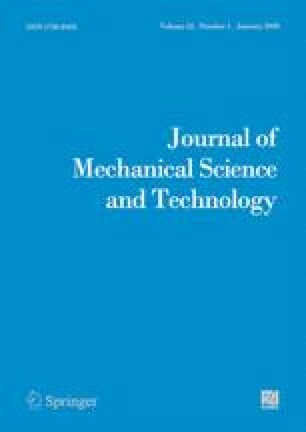 The influence on coupling vibrations among shaft-torsion, blade-bending and lacing wire coupling vibrations of a multi-disk rotor system with grouped blades was investigated analytically. The natural frequencies and the mode shapes of the system were solved for one-to four-disk cases as examples. First, numerical results showed how the natural frequencies varied by lacing wires and disks in a multidisk rotor system. The diagrams of the coupling mode shapes were drawn. From the results, the inter-blade (BB) modes, the shaft-blade (SB) modes and the lacing wires-blade (LB) modes change rules were given in this paper. Numerical calculation also revealed three interesting results that the natural frequencies were affected by lacing wire constant, lacing wire location and the disk distance. In the rotation effects, the multi-disk has drawn three important phenomena. The times of instability will due to the number of disk, the more disk rotor causes instability earlier than the less disk case and the lacing wires could not affect the system instability. Yi-Jui Chiu He obtained his Ph.D. degree in Mechanical Engineering from the National Taiwan University of Science and Technology, Taiwan in 2008. He has been working on High-Tech Facility Design Center in the National Taiwan University. Now, he is working in the Xiamen University of Technology. Chia-Hao Yang, He obtained his Ph.D. degree in Department of mechanical engineering, National Taiwan University of Science and Technology. Now, he is an Associate Professor in Department of Mechanical Engineering, Taipei Chengshih University. His special fields of study are Rotor dynamics and Vibration.